Wash the potatoes and allow to dry. 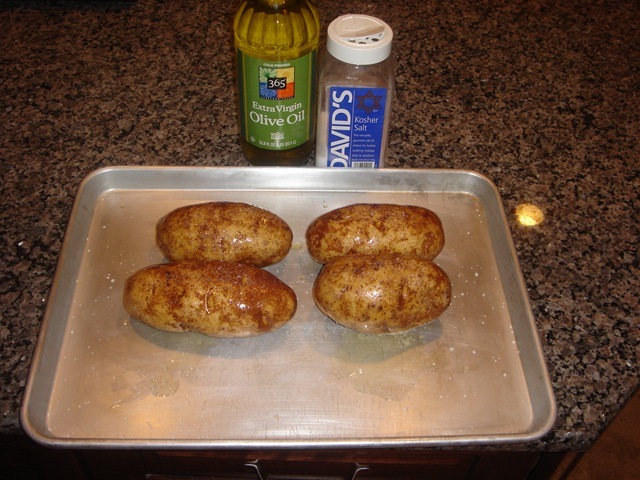 Lightly coat the potatoes with olive oil and sprinkle the entire potato with Kosher salt. Setup the BGE for indirect cooking and get the temperature to 375. Bake for 1 hour. Turn the potatoes every 20 minuets. Place bacon in large skillet, cook until evenly brown. Drain and crumble. You may omit this step if using bacon bits. Peal and dice the garlic and place in small sauce pan with the 1/2 stick of butter. Lightly brown the garlic and allow the mixture to cool. 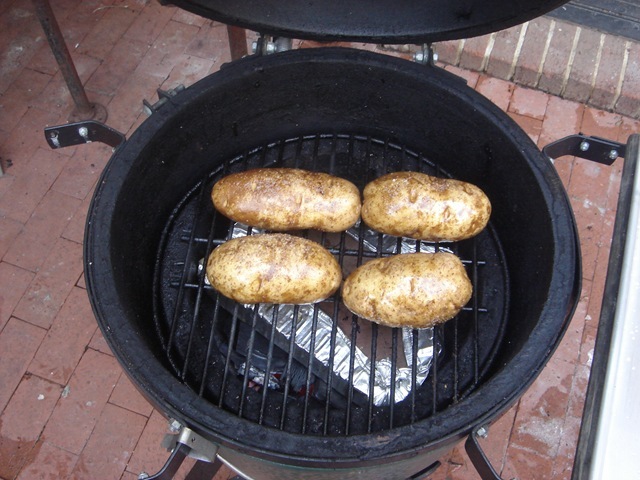 Remove potatoes from the BGE and allow to cool for 10 minuets. 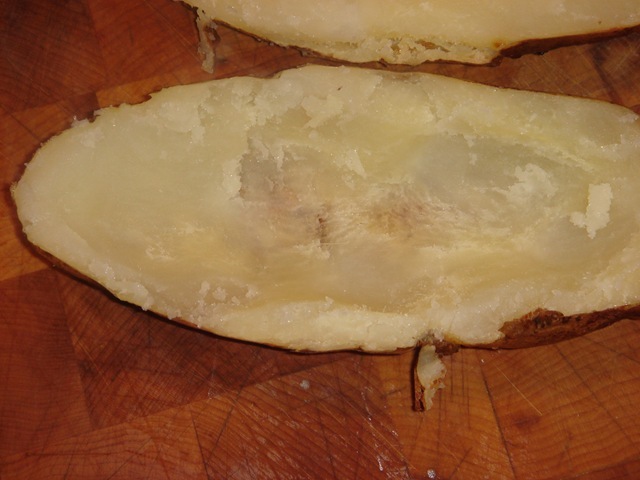 Cut potatoes in half lengthwise and scoop out the inside of the potatoes, leaving about 1/4 inch of potato attacked to the skin. 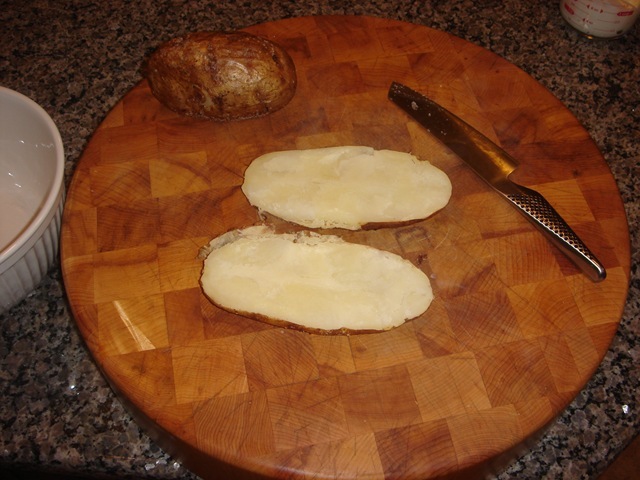 Save the potato that was scrapped out and place in a large bowl. Add the whipping cream, sour cream, butter and garlic, 1/2 of the cheese, 1/2 of the green onions, and salt and pepper to taste. Mix by hand until well blended. Fill each of the potatoes with the mixture. 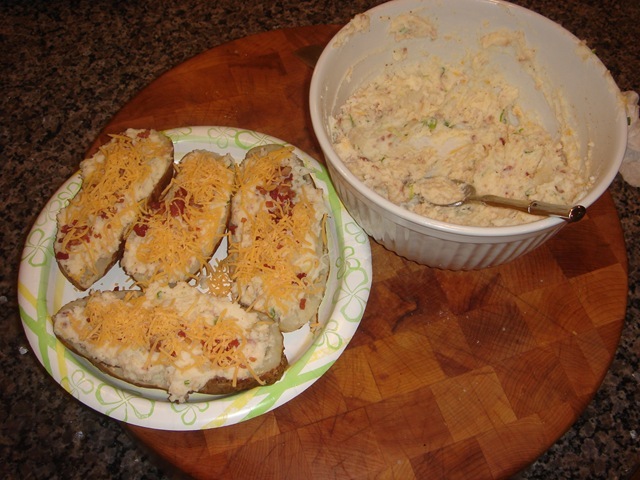 Top the potatoes with the remaining cheese, green onions, and bacon. Place back in the BGE for 15 minuets at 350. 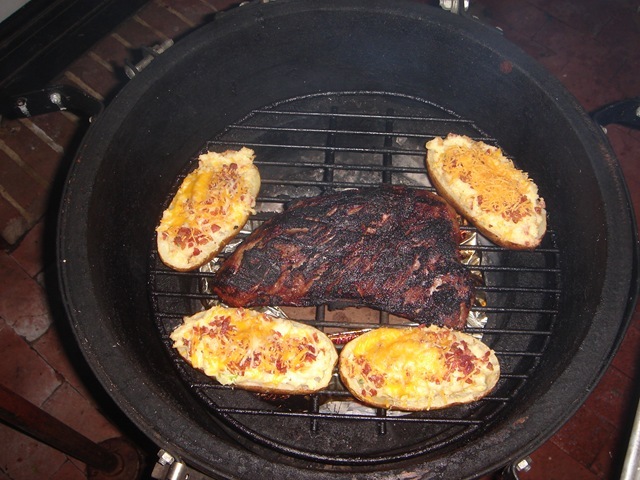 Note: this picture shows the potatos on the BGE along with a tri-tip roast being cooked at the same time.